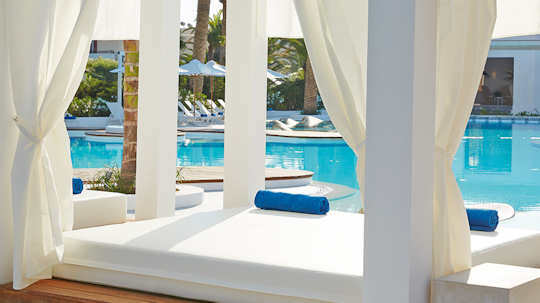 Spa and Wellness Rethymnon - pamper or detox, get active or relax in our world class spa offerings in Crete. Discover a yoga and meditation retreat in the south of the island. Rethymnon is located in the central west of the island, with the capital town of Rethymnon a vibrant, historic and cosmopolitan start to your wellness holiday in Crete. Choose your accommodation or wellness experience by location on the interactive map below. Plaza Spa Apartments, Rethymnon - offering unique apartments and studios each individually decorated, this hotel is the cutting-edge in design. Located 2 km from Rethymnon town centre on beachfront; these suites showcase the ultra modern flair of Greek design, with excellence at every turn. Laze at the outdoor pool, swim in the sea, or take a personalised spa treatment, a sauna or a dip in the breathtaking indoor pool. With personal trainers on hand, exercise with the latest equipment in the gymnasium, relaxing later at the taverna. The cuisine has an excellent reputation, with delicious organic vegetables from the Agreco farm; relax tranquilly with a candlelit dinner under the stars. The hotel's organic farm, Agreco, is open to guests, who can experience Crete's famous culinary tradition first hand. The olive grove and vegetable garden host visitors young and old, with a delicious feast to savour the fresh produce. Located on a hillside close to Rethymnon, the farm is a true connection to the real Crete. Back in your suite, enjoy the magnificent sea views, proximity to one of the most fascinating old towns of Crete, pampering and delights to the senses. 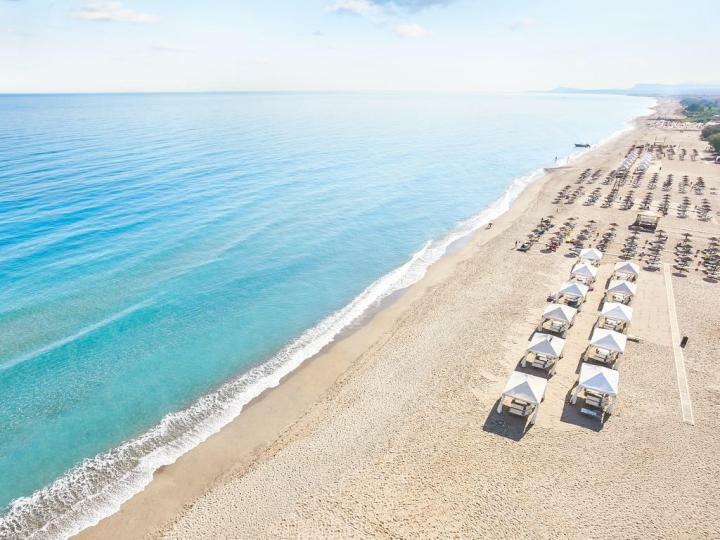 Creta Palace and Elixir Spa - just 4 km from Rethymnon town on a beautiful sandy beach is the exquisite world class Creta Palace, now offering the Elixir Spa. The Grecotel business has invested in this resort and in the natural history of Crete by creating an organic farm just inland from Rethymnon. 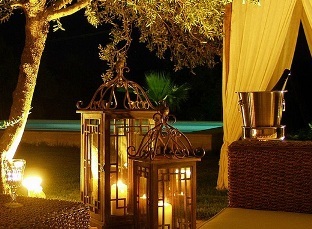 With the further addition of Ayervedic spa treatments, this is one of the most sophisticated, beautiful and unique luxury accommodations on the island of Crete. 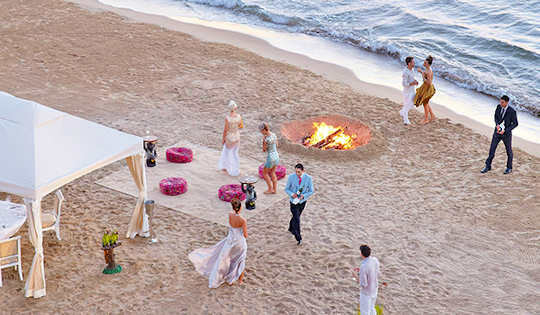 This resort has everything on a large beachside property centrally located on the north coast of Crete. With a sandy beach, tropical gardens and palm trees, salt-water pool and various styles of accommodation on offer, bungalows, studios, maisonettes and suites as well as double rooms, children's facilities, deluxe suites and the royal pavillion. The Elixir Spa offers jacuzzi, facial treatments, waterfall showers, hammam and sauna, gym, manicure and pedicure as well as massage therapies. 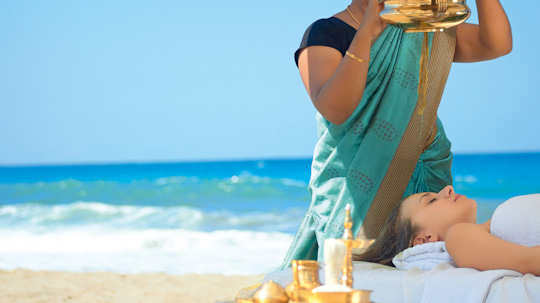 The ayervedic tradition originates in India and is a holistic approach to health and wellness based on four different body types and their needs. 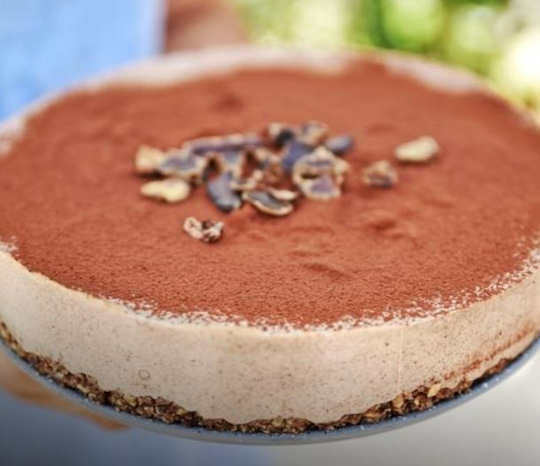 Four bars and six delightful restaurants offer variety of choice, including the farm experience of fresh produce at the Agreco Farm, an organic farmyard close by. 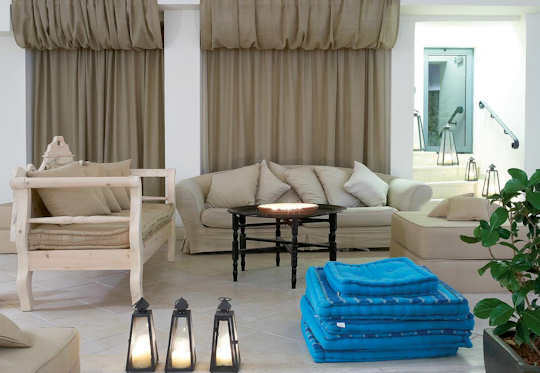 Caramel Boutique Resort - sits directly on Rethymnon Beach at Adele, with modern, stylish flair, just 7 km from the Venetian laneways and historic layers of Rethymnon Old Town. 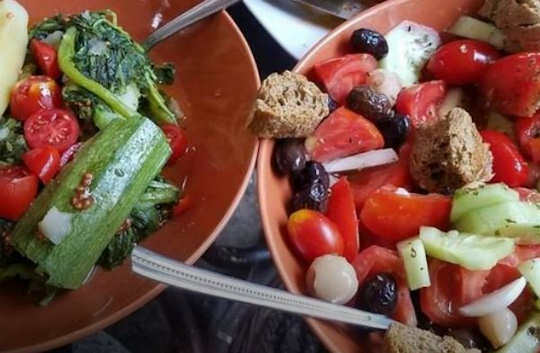 8 Day Raw & Vegan Cooking and Yoga Holiday - visit Crete in Spring for the most delightful season and wildflower abundance. Rest, rejuvenate and be healthy with raw and vegan cooking, local cuisine cooking classes and yoga. 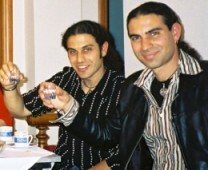 Stay with your small group in a separate rural guesthouse in the quiet countryside in the south of Rethymnon. 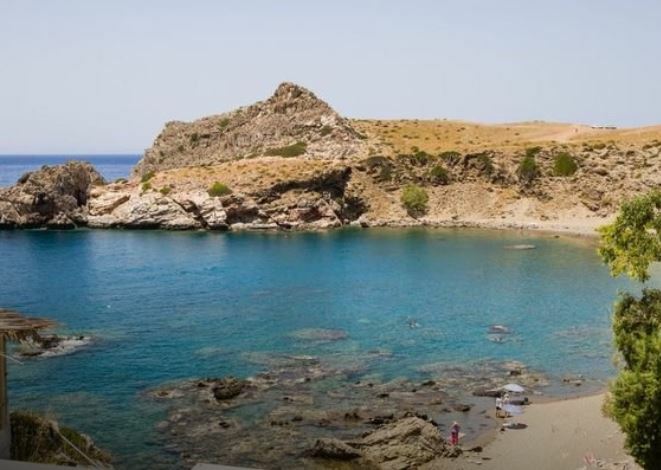 This location is 50 km south of Rethymnon town, with hiking and beach walks easily included in your day. 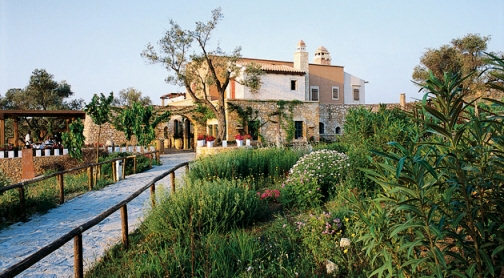 The villa setting includes five houses, a large swimming pool, a barbecue area, a small church and a botanical garden. 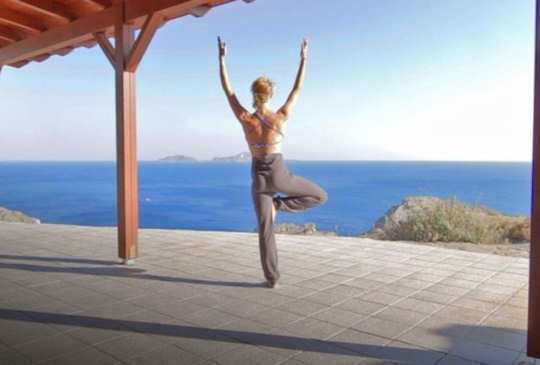 8 Day Yoga Retreat in Southern Rethymnon -soak up the energy of Crete's mountains and the sea, surrounded by wide open spaces on the natural southern coast of the island, with the Sensit yoga practitioners, and a small group retreat. For beginners, intermediate or advanced yoga lovers. The region of Rethymnon sits in the central west of the island. You can reach the town of Rethymnon from Chania International Airport CHQ or Herakion International Airport HER. The trip from Chania Airport to Rethymnon is 65 km. The trip from Heraklion Airport to Rethymnon is 90 km. Ferries depart from Athens Pireas port to arrive in Chania or Heraklion ports with a journey time of around 9 hours. Ferries also arrive from Santorini into Heraklion port.